From humble beginnings, Kogan’s range of smartphones and tablets is blossoming into quite a respectable line-up of products. In the last 6-months, we’ve given positive reviews to the company’s 10-inch Agora tablet and 5-inch Agora smartphone, both of which offer cheap, simple alternatives to similarly sized products from the likes of Samsung and Sony. 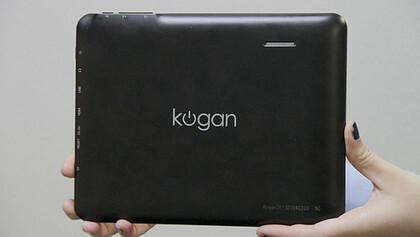 Physically, the 8-inch Kogan tablet looks like the 10-inch ICS tablet we reviewed last year, only, predictably, smaller. It has the same smooth plastic chassis, with the same black matte finish, and basically the same button alignment. It is nice and lightweight, too, coming in at just 380-grams. This is, as we’ve been told by other manufacturers, the same weight as a paperback book, and is not at all too hefty to hold for long periods of time. 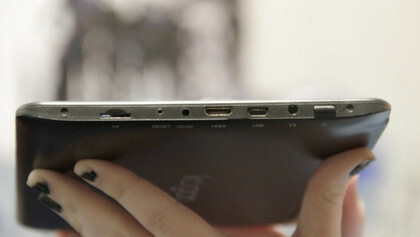 The right side of the unit is where all of the slots and ports are found, with standard fittings like a micro-SD card slot, 3.5mm headphones socket, micro-USB. Kogan also includes a mini-HDMI port too, which is a strange choice indeed. Not that it isn’t welcome, but all other phones and tablets we’ve seen with HDMI connecitivity use the smaller micro-HDMI connection. There seems to be an abundance of mini-HDMI cables on eBay though, so this shouldn’t be too great a problem for those who want to use this socket. Also of interest is the inclusion of a dedicated Back button on the top of the tablet, where you might expect to find the Power button — which itself is on the right-hand side. This is another welcome addition, if curious, as it is handy to be able to exit apps using this key rather than the virtual-version of it on the screen. If we have one gripe with this design, it is the seam which runs along the right hand side, where the base of the body joins the flat side where the ports are housed. This is also one of the places where your hands will be constantly when holding the tablet, and where your skin can sometimes catch on the lip. It’s not a major issue, and it’s certainly not sharp, but it is a regular reminder of how this is a cheap tablet. Buying a cheap tablet computer is one of the riskiest tech purchases you can make; next to buying an underwater hair dryer. One of the pricier parts of a phone or tablet is the screen, and it should be your central consideration in choosing whether to buy a tablet or not. The screen is, after all, what you will be staring at and interacting with. Sure, you might connecting the tablet to a monitor from time to time, or plug in earphones and just listen to music, but more than 90% of your time with your tablet with be watching the display in action, so you want to be sure that it is up to scratch. Traditionally, this was the main reason to avoid cheap tablets, and in most cases this is still true, however, sometimes the quality of the screen surpasses the price tag. Kogan’s Mini 8-inch tablet belongs in this rarest of categories. It may be priced at AU$129, but it has a screen which manages to be both a plasure to look at and responsive to touch input. It isn’t perfect; there are flaws visible when this screen is viewed next to a really high quality display, but in isolation, the Kogan screen has surpassed our expectations. In terms of pixels, the Kogan tablet displays a just-HD resolution of 1028 x 768, giving the screen a pixel density of about 186 ppi. This is a long way off the HD screens we’re starting to see from the big players in this space, but it is more than enough for a comfortable tablet experience. 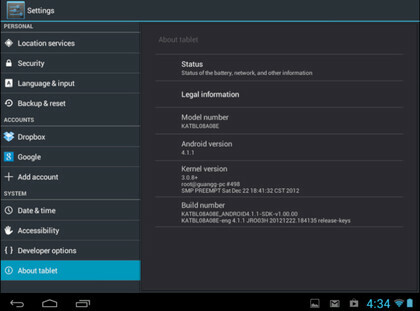 As we’ve seen with other recent Kogan mobile products, the UI on the 8-inch tablet is basically stock Android Jelly Bean. This gives the user experience a familiar look and feel for anyone who has used Android previously, and a reasonably easy enter for newcomers too. Curiously, the tablet doesn’t include the Google Now application that typically comes with a Jelly Bean build of Android, and the interface is laid out like Android was in Ice Cream Sandwich, even though the system settings clearly read "Android 4.1.1". 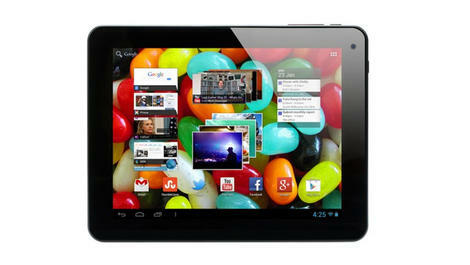 Still this shouldn’t worry anyone looking for a tablet even cheaper than the Google-made Nexus 7. These odd differences aside, the rest of the tablet is pretty much stock Android; save for a few applications added by the Kogan team. This doesn’t mean the tablet has to remain this way, of course — there are stacks of widgets and tools available through the Google Play store to augment the way the Kogan looks and operates. 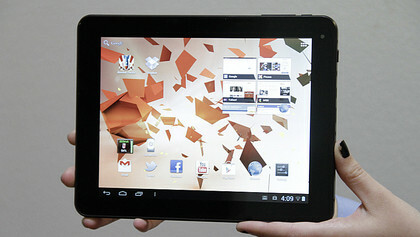 So we’ve established that the Kogan tablet looks like a more expensive tablet, and it feels like one too, more or less. But does it work like a premium made model? Connectivity-wise, the Mini 8-inch has all of the same components as other Wi-Fi only tablets. It is compatible with Wi-Fi networks using the 802.11 b/g/n protocols, it sports Bluetooth version 3.0 hardware, GPS, and USB 2.0. The addition of a micro-SD card slot is important too, as it is something the other tablet makers tend to avoid, for one reason or another. Under the hood, Kogan chooses a dual-core 1.6GHz processor and 1GB RAM, with a Mali 400 GPU. This combination has provided us with a zippy experience across everything we’ve tested and handles itself well when performing synthetic benchmarks, too. It scored a decent 37fps on our favourite 3D animation benchmark, and sits on par with dual-core phones from last year, like the HTC One S.
We did experience one complete system crash during our review, though. A full system lock-up while we were installing an app from the Play Store, requiring us to soft-reset the tablet. This wasn’t an error we could replicate, so we’re happy to put it down to being a one-off. In terms of battery life, Kogan packs a 4,300mAh battery in the 8-inch tablet, which we found was good for about 3.5 hours of continuous web browsing with the screen brightness ramped up to its maximum. You will be able to extend this figure with a moderate screen brightness, but this isn’t a great result for the sake of comparisons. Most tablets we review tend to be pushing six-hours under similar conditions, so you’ll be wanting to keep your charger close with the Kogan. Even though the user experience is primarily a stock Android UI, the Kogan team do include a few extra apps in the base build for the 8-inch tablet. 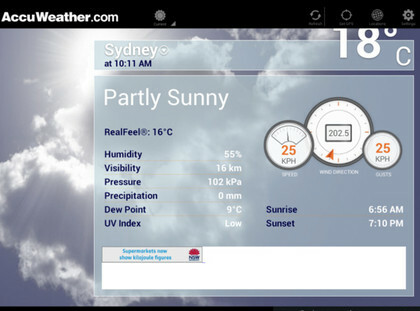 Accuweather stands out most, and is a handy addition, with great widgets and a nice clean user interface. It’s packed with awesome extra too, with weather forecast videos, detailed weather news from around the world, and an attractive, if confusing, "Lifestyle" weather monitor. 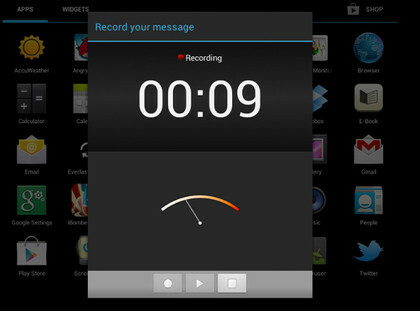 There is also a dedicated Sound Recorder app. Again, this has a simple user interface, with clear start and stop buttons, but is rendered all-but useless for the fact that it won’t keep recording in the background if you exit the app or the tablet puts itself into stand-by mode. 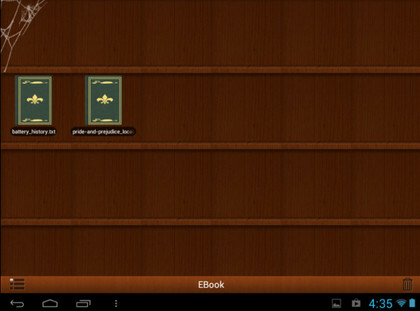 If you are hoping to double your tablet as an ebook reader, than the eBook app installed is for you. It can open .txt, .pdf and .epub files and has a goofy bookshelf UI, complete with cobwebs like a cheesy haunted house amusement ride. As for mapping and navigation, there is no third-party options, but there is the always-awesome Google Maps installed. With the right accessories, the Mini 8 could be the perfect driving companion, though you’ll want to be sure to have a battery charger handy. Kogan spends its money well, putting together a tablet where the most important bits are the best bits, with particular attention paid on sourcing a good LCD display. In many ways, there isn’t too much difference in using the Mini 8-inch tablet, and using any other tablet with the Ice Cream Sandwich version of Android (despite this tablet running on Jelly Bean). 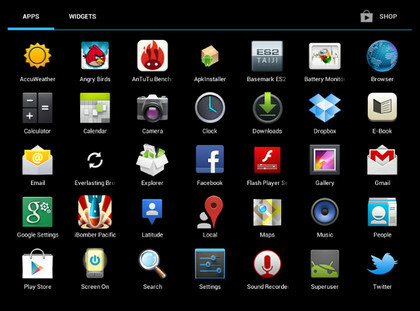 It is fast, responsive, and powerful enough to take advantage of the multitudes of Android apps available. While the physical design is functional, it doesn’t look or feel like a premium product. But then, it isn’t priced like one either, so we wouldn’t let this stop you from buying one. The bare-bones Android approach won’t appeal to everyone, and many will not see the empty homescreens as a blank canvas to build on, but as an empty box that Kogan has forgotten to fill with fun, techy goodness. Also, the decision to go with mini-HDMI, rather than the vastly more popular micro-HDMI will bother some people, especially those who already own micro-HDMI cables. It’s hard to see the Kogan 8-inch tablet as anything other than an amazing bargain. It may not have the trimmings of the tablets from the bigger brands, the stylus pens or Retina displays, but it does offer the basics for a very reasonable price, and more than enough power to let the user build on this with their favourite apps.